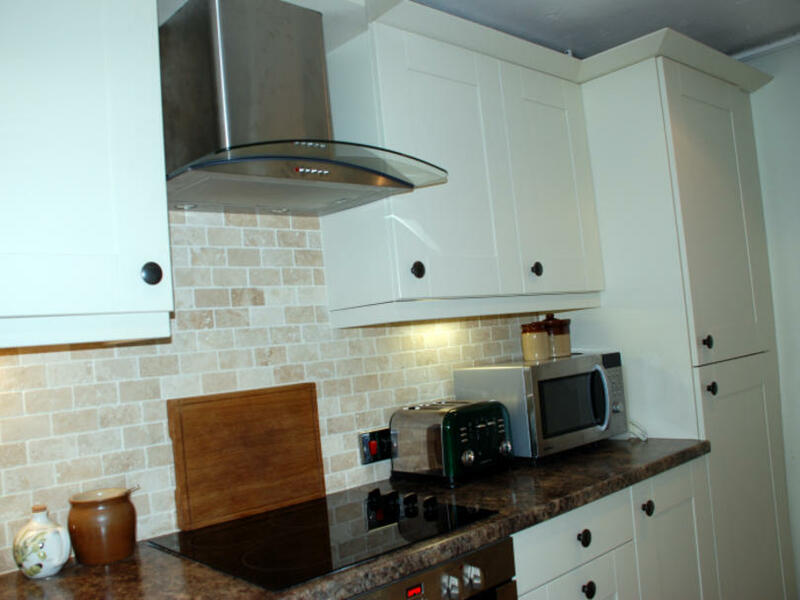 This small galley kitchen was previously dark and didn’t make the most efficient use of the limited room available. The client opted for painted alabaster cabinetry, which immediately enhanced the sense of space and lightened the room. 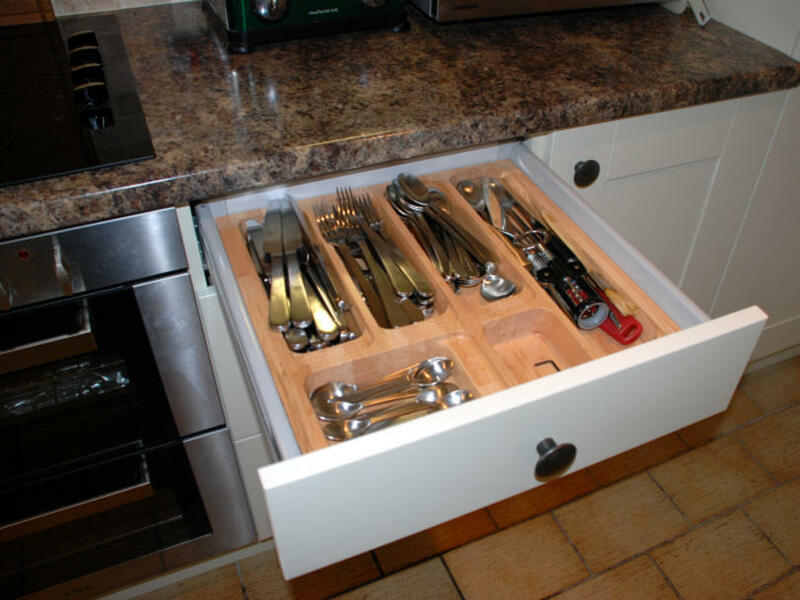 A magic corner ensures this often difficult-to-get-to area isn’t wasted plus cutlery inserts and pan drawers add easily accessible storage. 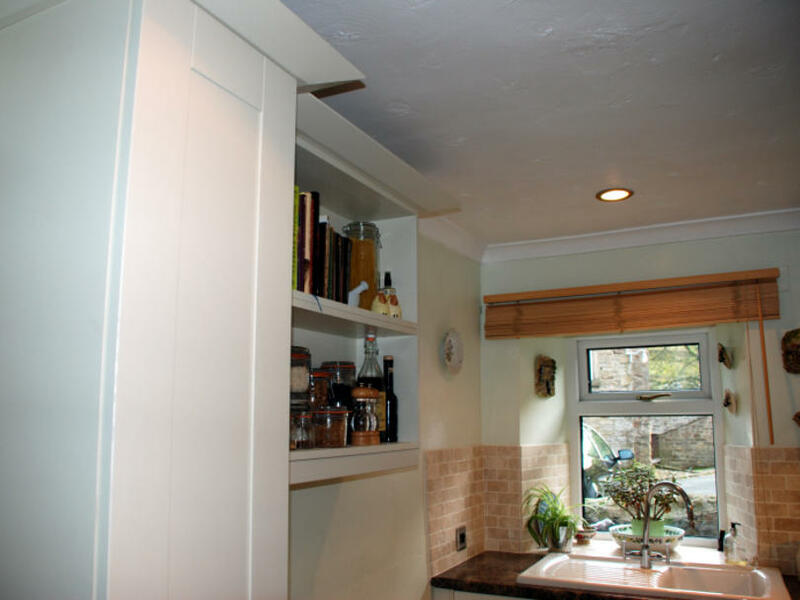 Introducing a full height unit at the end of the cabinet run made space for a larder fridge and freezer. 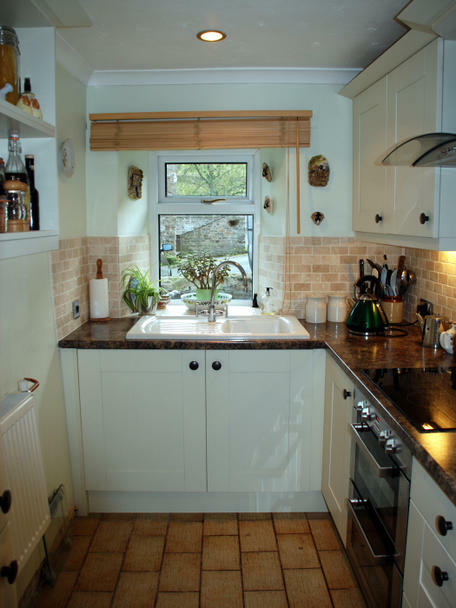 Even in a very compact room it’s surprising how much storage space can be achieved with a well-thought out design. 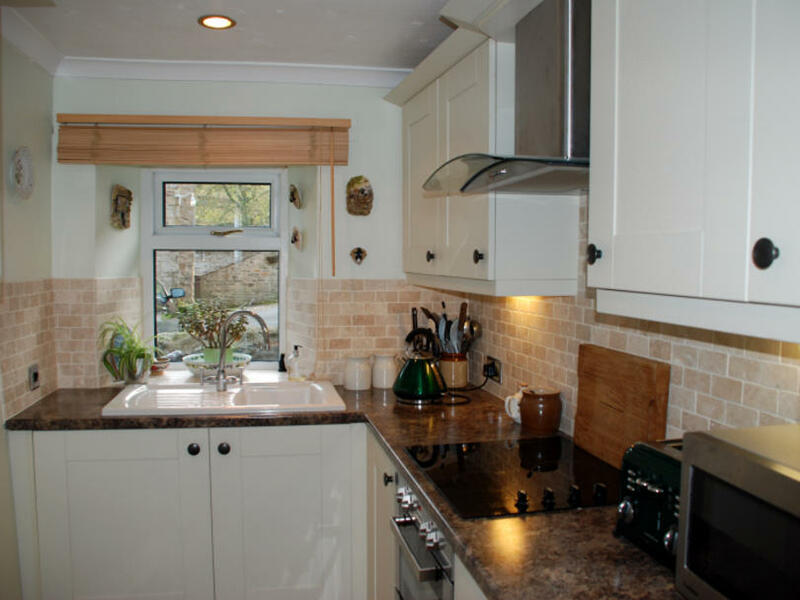 In this kitchen, although under 2m wide, a shallow tall cabinet is along the other wall, with a bespoke open unit to the side. The client was initially concerned this may impact on the walkway, but the cabinet is not as intrusive as the bin that stood there previously, but has so many more benefits both practically and aesthetically.